Unity Audio launched their new Mini-Rock 2 way active monitor at the 2018 NAMM show. As the name implies, this new addition represents the smallest model in the company’s professional active monitor range to date measuring 279mm high, 184 mm wide, 256 mm deep, (10.98″ high x 7.24″ wide x 10.07″ deep). We are now pleased to announce for the first time in our history the introduction of a DSP Mini-Rock version replacing the standard analog input crossover. This high performance 24bit/96k Burr Brown converter design offers a huge amount of DSP control for the user with precise 1/10th dB level control on the input channel and output channels , mute, phase, delay and 8 bands of fully parametric EQ including various filter types, limiter protection. Plenty of factory and user presets are included such as full 3 way crossover integration for the Unity Audio Avalanche sub-woofer. The intuitive GUI is Mac and PC compatible over sealed air-tight Neutrik Ethernet connector. The DSP also has an additional output channel presented to the Mini-Rocks rear panel on a balanced XLR connector to feed the Unity Audio Avalanche active sub-woofer for example, along with the balanced XLR input connector. In all other aspects the DSP version is exactly the same specification as the standard analog Mini-Rock model. The cabinet is of course a sealed design like all the models in the Unity Audio range in order to accurately reproduce low frequencies with superior transient response and without any phase/timing anomalies associated with other designs. The Mini-Rock is also the first monitor in the range with the exception of the Avalanche sub-woofer that uses a split dual-chamber cabinet with Aperiodic Vent. This delivers all the benefits of a sealed cabinet such as zero port noise and tight fast accurate bass reproduction. It also significantly increases the bass response available from a smaller cabinet design. A new crystal membrane woofer measuring 150mm ( 5¾” ) has been selected. This eye-catching surface of the crystal membrane is more than just an attractive design feature. The crystal-shaped inverse aluminium dome is joined to a paper cone in a special gluing process to result in the desired sandwich construction. The crystal cone aluminium-foil stamping stiffens the aluminium dome, diminishing resonances and minimising coloration, while improving power handling and dynamics. The voice coil design of the woofer results in an expanded frequency range, and driver surround allows for longer cone excursions for truly prodigious volume and lowest distortion, a unique engineering achievement for a driver of its size. The Mini-Rock uses two 180 watt Class D amplifiers one per drive unit which also includes DC protection. The Class D power supply provides switchable 115v-230v operation. For the fix installation market the Mini-Rock is an ideal choice as it offers two mounting possibilities, either a yoke or wall bracket. 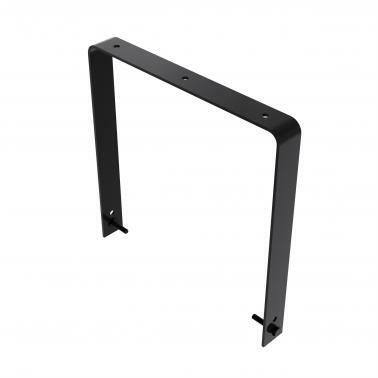 The yoke mounting points allow for flying the Mini-Rock and the mounting points for the yoke are on either side of the cabinet providing both swivel and tilt for perfect positioning. The other mounting option for the Mini-Rock is the ua/mini-rock-bracket which mounts onto the rear metal panel of the cabinet and attached by using the four M6 Allen bolts which are already fitted to the Mini-Rock as standard. 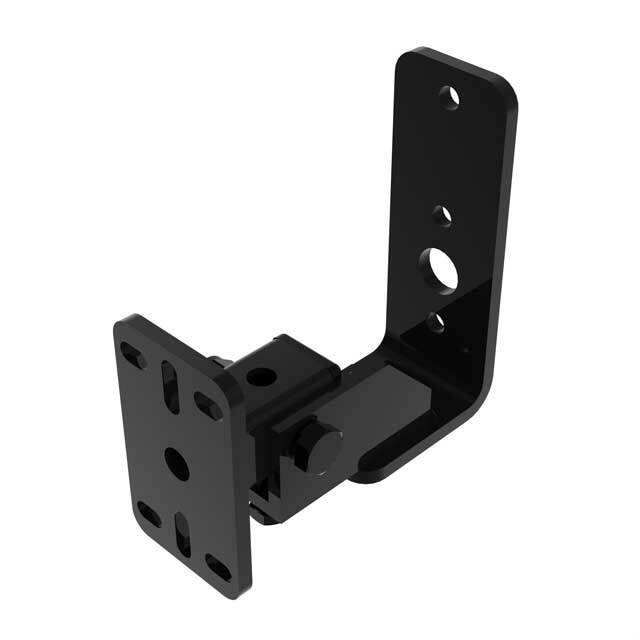 This bracket can be fixed to a wall and allows for 30 degrees of tilt and 150 degrees of rotation.